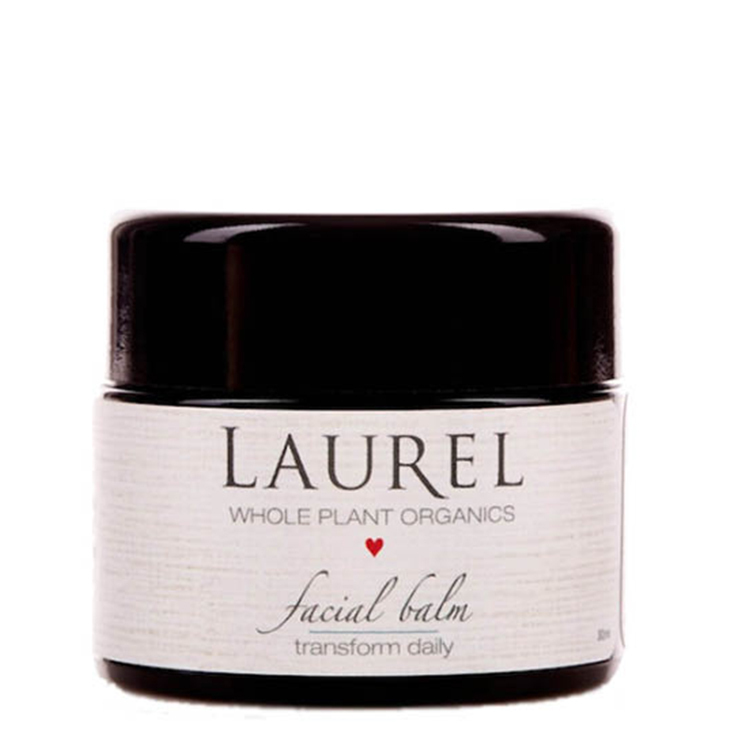 Laurel Whole Plant Organics created the waterless Transform Daily Facial Balm for those who need help maintaining moisturized skin throughout the day. This facial moisturizer is a harmony of 29 beneficial organic ingredients. Its soft, smooth texture is non-greasy, making it ideal for daytime use. Calendula, comfrey and chamomile promote youthful looking skin. While a luxurious floral blend of sandalwood, neroli, carrot seed and lemon balm improve the appearance of elasticity, and leave skin feeling smooth and softened. Only a very small amount of the organic moisturizing facial balm is needed. After applying a serum or elixir, spread a small amount over face and neck.